Susan's Disney Family: Snoopy & Belle in Fashion #Giveaway Be fashionable with Snoopy! Snoopy & Belle in Fashion #Giveaway Be fashionable with Snoopy! As a child in the 80’s Snoopy was one of my favorite fashion accessories from my cherished snoopy tees to to my snoopy red baron earrings, I would love to show off my favorite character in my fashion. Now it is time for Snoopy and his sister Belle to show off their fashion styles. There is a Snoopy and Belle in Fashion exhibit that’s currently on an international tour. 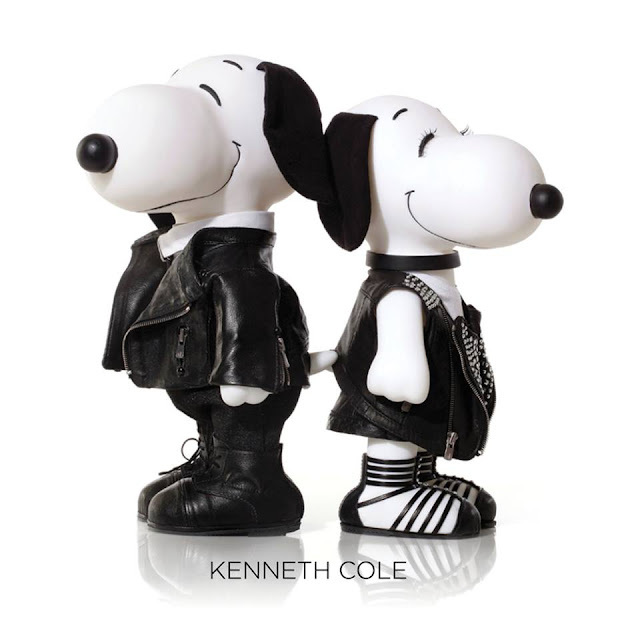 This amazing exhibit features high-end Snoopy and Belle vinyl dolls outfitted by the world’s premier fashion designers—including Betsey Johnson, Calvin Klein, Diane von Furstenberg, Donna Karan, DSquared2, J. Mendel and more! I can only hope that one day this amazing exhibit comes to our home town, or at least to a closer area I would love to see these amazing fashions up close and personal. Sure you know Snoopy and Belle are super stylish, did you know you could become a super stylish Peanuts character? To celebrate the upcoming release of The Peanuts Movie, there is a cool site where you can create your peanuts character! Style the clothing, the hair everything right down to your shoes! 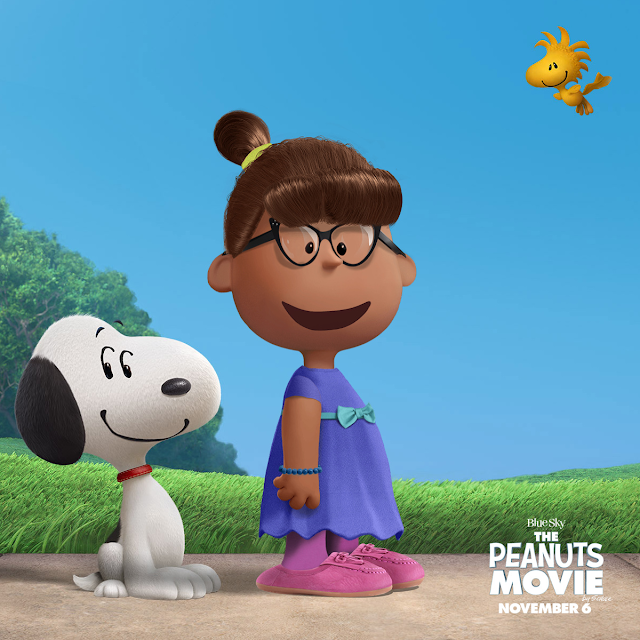 Visit http://www.peanutizeme.com/ make your character and show it off to your friends on Facebook. Here is my Peanuts character, I think she (well I) came out cute! 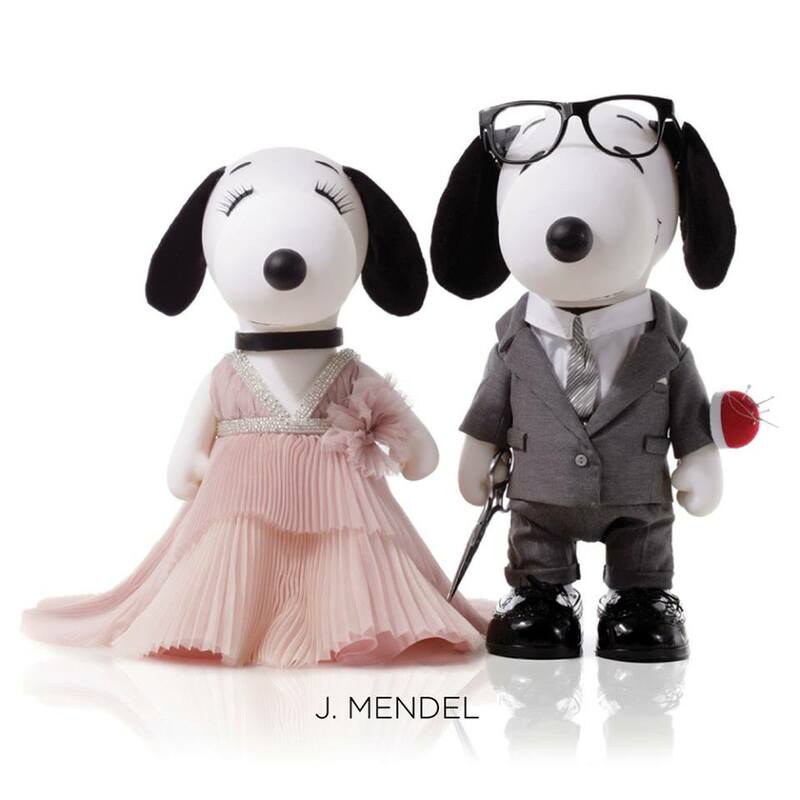 Snoopy has always been known for his unique sense of style (think Joe Cool, the World War I Flying Ace, and the Easter Beagle), but even Snoopy can learn a thing or two from his fashionista sister, Belle! That’s why the new fashion line, Snoopy and Belle in Fashion, has proved to be such an international phenomenon. Young fashion trendsetters from Paris to Milan to Tokyo are going crazy for the tees, dresses, leggings, and accessories that capture the wit, style, and magic of the world’s most beloved beagles. We have these adorable tees and totes to give away to the fashionable Snoopy fan in your life. Tees come in size Medium. Leave a comment about Snoopy and Belle, and I’ll pick one winner to receive the tee and tote. The tee will be one of the tees shown above chosen at random in a size medium. Would you like to win? Please let me know who your favorite Peanuts character is and why? There are also other ways to enter, please enter below. 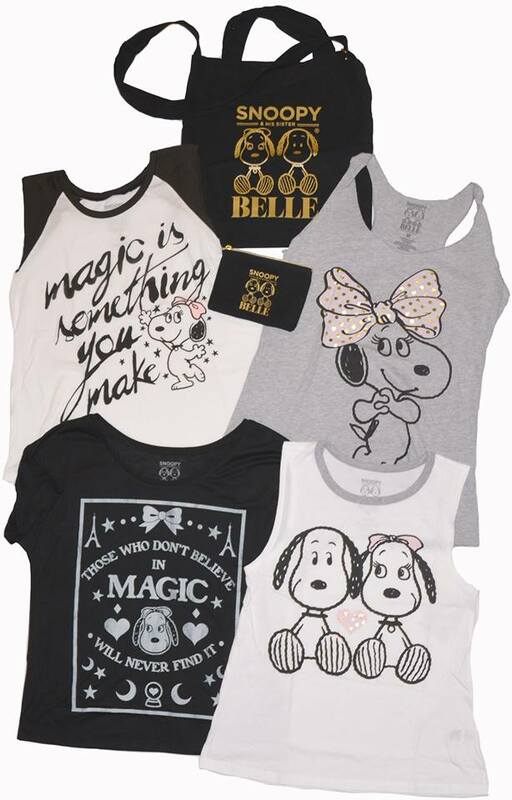 One winner will win a Snoopy and Belle In Fashion tote bag, a make-up bag, and one size medium T-shirt. Disclosure: The reviews and or opinions on this blog are my own opinions . I received a tote, bag and tee for being an ambassador. No monitory compensation was received. I was not required to write a positive review. Your experience may differ. The opinions I have expressed are my own I am disclosing this in accordance with the Federal Trade Commissions 16 CFR Part 255: Guides Concerning the Use of Endorsement and Testimonials in Advertising . Woodstock is my favorite because he is just so cute! Snoopy was always my all-time favorite! He reminds me of my childhood, especially since that's the time my older brother got me into watching and/or reading about Peanuts. Woodstock he is so cute!! Sally is one of my favorite characters because she is so darn cute! My favorite character is woodstock because I used to love my stuffed animal of him when I was a kid. I love Belle! I actually have a stuffed Belle that I've had since I was about 5 years old. She was my favorite toy as a child! I always like Charlie Brown because I felt bad for him. But I do love Snoopy too. I loved Linus because he always carried his blankie. I love snoopy.... He is super cute !!! I like Snoopy because he's cute and funny. Woodstock because he is cute. I love Charlie Brown, I just feel so sorry for the poor guy! I love Woodstock. He's just so cute and yellow. Snoopy because he;s so adventurous! Snoopy is our favorite so cute we always watched the specials shows too each year. Charlie Brown because he was always the underdog, oh how I wanted him to kick that football. Also love Snoopy and when he takes on his different personalities. I have always loved Linus. He is a true friend to Charlie Brown, listens & offers advice. Plus, he is just a cutie with his blank. I always feel so sorry for Charlie Bown. We really like Linus a lot! Thanks so much for the chances to win. Snoopy, because my dad bought my a Snoopy Stuffed Animal years ago. Thank you so much for the opportunity! Lucy has always been my favorite :). My favorite is Snoopy because he is so cool! I like Snoopy probably because I am a huge dog fan! I love Charlie Brown because he's always kind of getting picked on but always wins in the end. I like Charlie Brown, he never gives up. I love Snoopy - He is cool! I like Linus - he is the smart one! Snoopy is my favorite character. He is adoreable. I like Snoopy because hes just so cute!! Woodstock is my favorite because he's so loyal to helping out Snoopy! I like Snoopy because he's awesome. 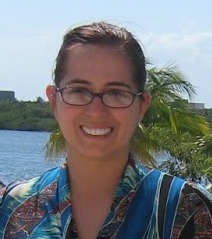 I love Peppermint Patty! That was my nickname growing up, everyone thought I looked like her. I have always loved Snoopy! He's just so cute and I just love dogs! Woodstock... because he's such a little cutie! I like Woodstock because he's a cutie. My favorite Peanuts character is Snoopy because he's so funny and cute!